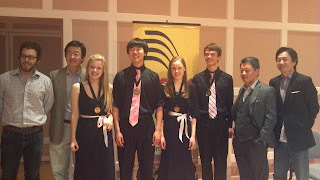 MYA String Quartet Takes 1st Place! We let the blog go this summer . . . just realized this never got posted last April. Eight students from MYA, two string quartets, made the trip to St. Paul last week to participate in the St. Paul Chamber Music Competition. The Quartet Morina (Rachel Stenzel and Genevieve Smelser, violins; Aiden Perreault, viola, and Christopher Gao, cello) received Gold Medals after a solid and convincing performance of Schubert's Death and the Maiden and Ginastera Quartet No. 1. 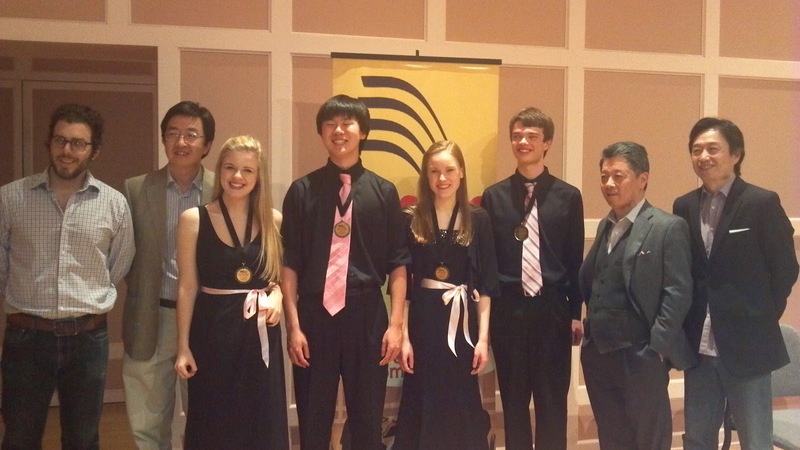 The jury for the 2013 SPSQC Final Round was the Shanghai Quartet. The competition's aim is to celebrate excellence in string quartet playing, foster an increased appreciation for the chamber music art form, and enhance the music culture in this country. The students might tell you it was the bus trip to St. Paul that they looked forward to and enjoyed!